As an independent, Catholic, co-educational, college preparatory high school located in Nashua, New Hampshire, Bishop Guertin High School seeks to serve the young people entrusted to its care. Inspired by and building upon the educational tradition of the Brothers of the Sacred Heart, Bishop Guertin develops students to their greatest potential, especially in their contribution toward the world around them and in their faith in a loving God. Founded in 1963 and named in honor of Bishop Georges-Albert Guertin, third bishop of Manchester, students come from more than 41 cities and towns in New Hampshire and Massachusetts. BG’s nearly 9,000 graduates can be found in New England, throughout the United States, and across the globe. 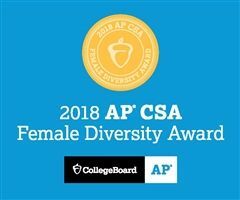 Bishop Guertin High School has earned the first College Board AP® Computer Science Female Diversity Award for achieving high female representation in AP Computer Science A. Schools honored with the AP Computer Science Female Diversity Award have expanded girls’ access in AP Computer Science courses. 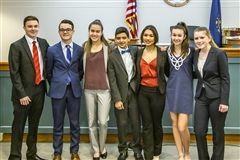 Out of more than 18,000 secondary schools worldwide that offer AP courses, Bishop Guertin is one of only 685 to accomplish this and with only 167 schools earning the AP Computer Science Female Diversity Award for AP Computer Science A.
BG's Mock Trial team will travel to Georgia in May for the 2019 National High School Mock Trial Championship. 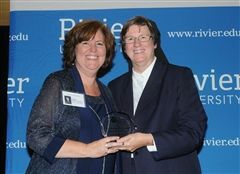 Bishop Guertin President Linda Brodeur was recently awarded the Rivier University Alumni Outstanding Educator Award. Mrs. Brodeur earned both her bachelor’s degree in Chemistry and her Master of Education from Rivier. In 2016, she was honored with the Educator of the Year Award, having distinguished herself as the first-ever female and lay president of BG. 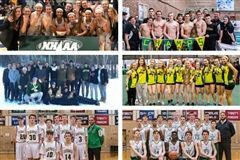 The Winter Sports Season brought four more Varsity state titles to Bishop Guertin. Bishop Guertin High School is a private, Catholic, coeducational, college-preparatory day school for grades 9-12, located in Nashua, NH.